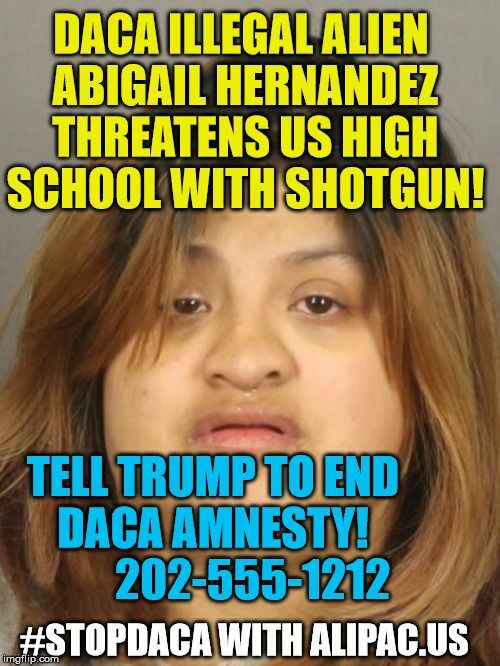 An illegal immigrant with a shotgun (which is also illegal) named Abigail Hernandez tried to hide behind a fake Facebook account to threaten East High School in Rochester. Please help us keep the pressure on the White House to end DACA Amnesty which is as illegal and unconstitutional today as it was the day Obama created it with memos! We have much to do to help restore sanity to American immigration policies. Tomorrow we go after Amnesty in the house and begin endorsing more candidates who need our help! Last edited by ALIPAC; 02-25-2018 at 06:27 PM.